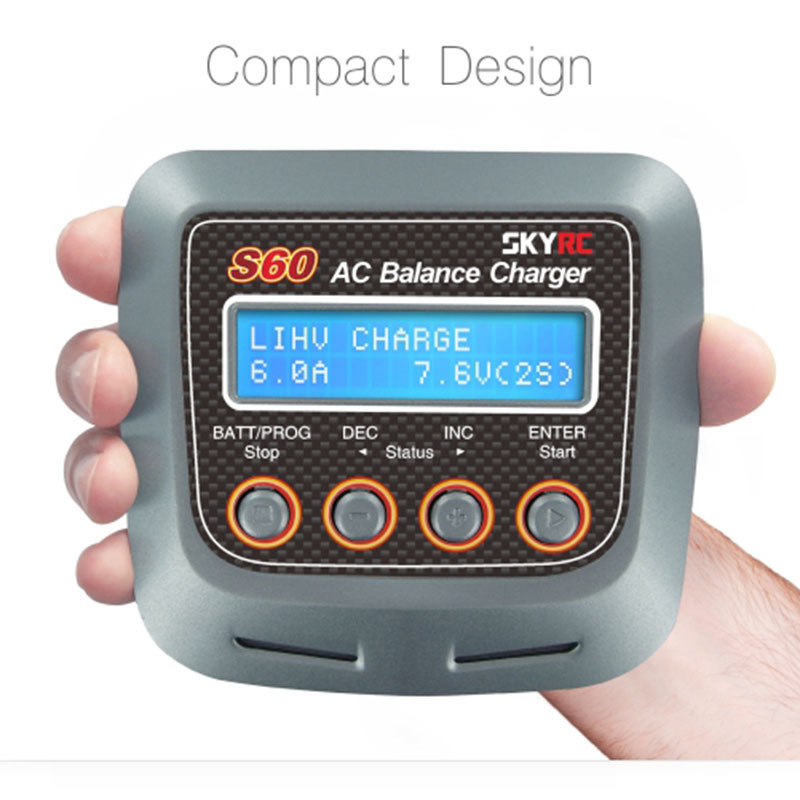 SkyRC S60 AC Charger/Discharger stands out for its exquisite and stylish design. 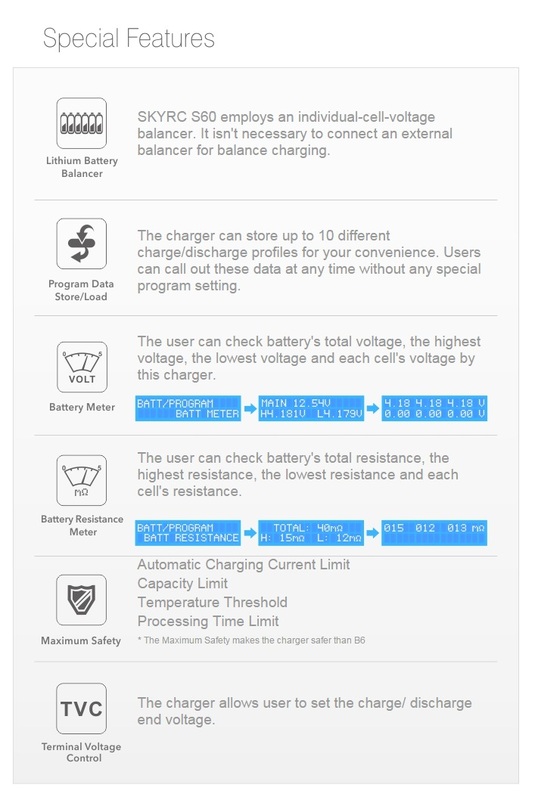 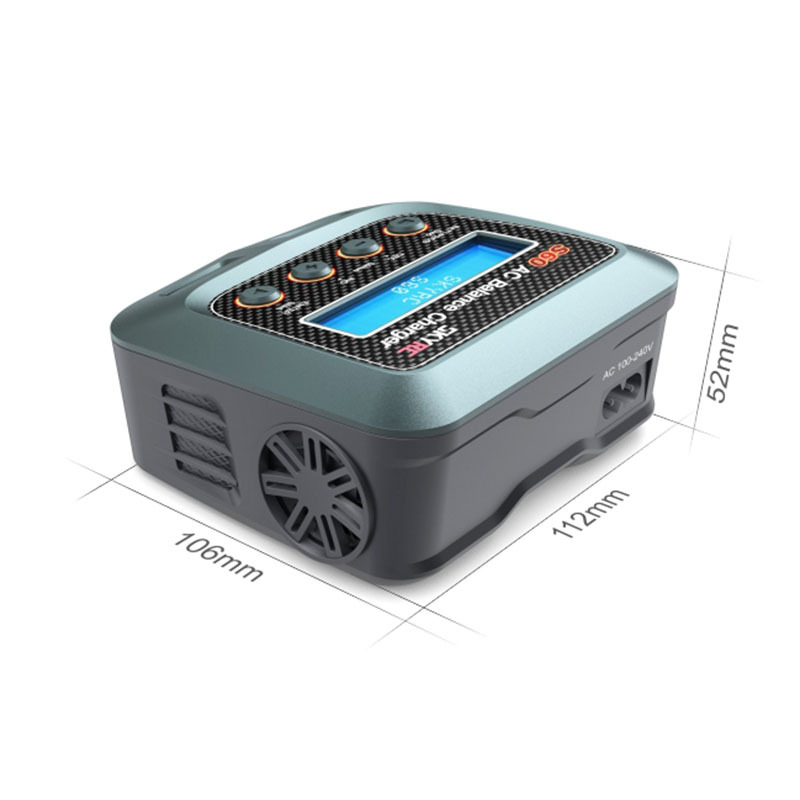 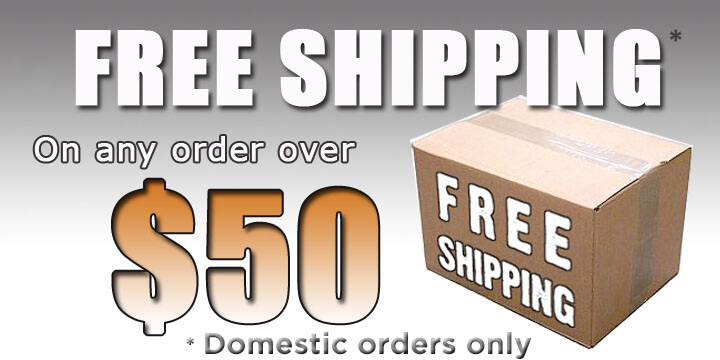 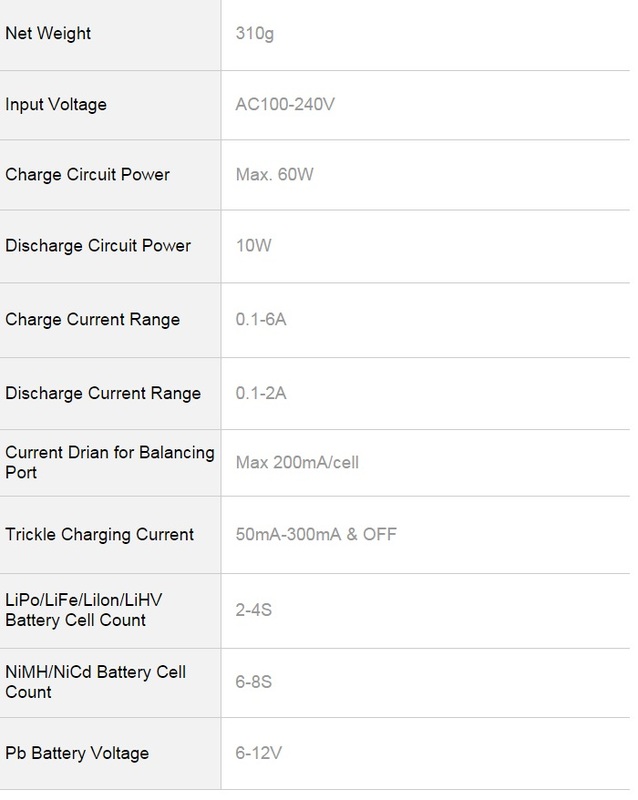 It charges all modern batteries, including new generation LiPo batteries with 4.35V cell-voltage. 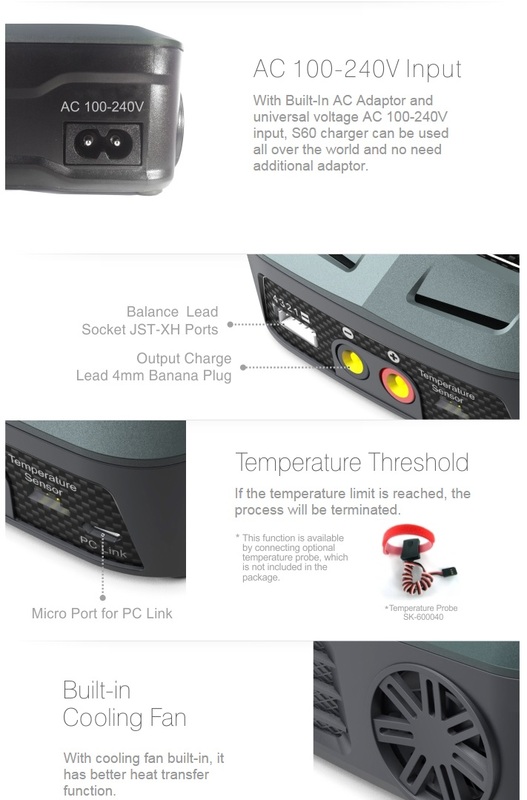 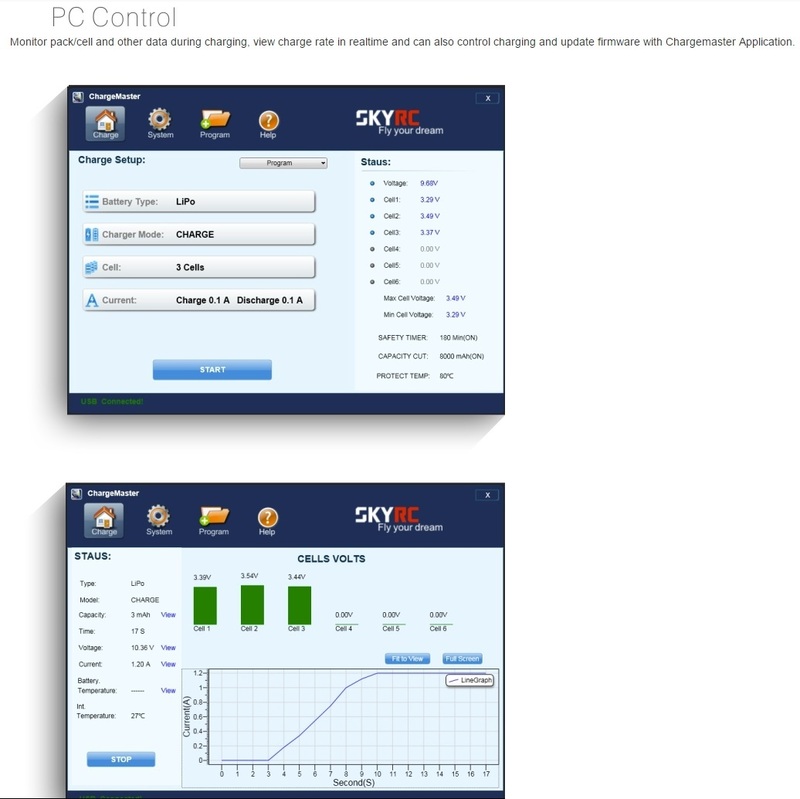 End-voltage is user-adjustable, and the S60 can be connected to your PC for PC control and firmware upgrades. 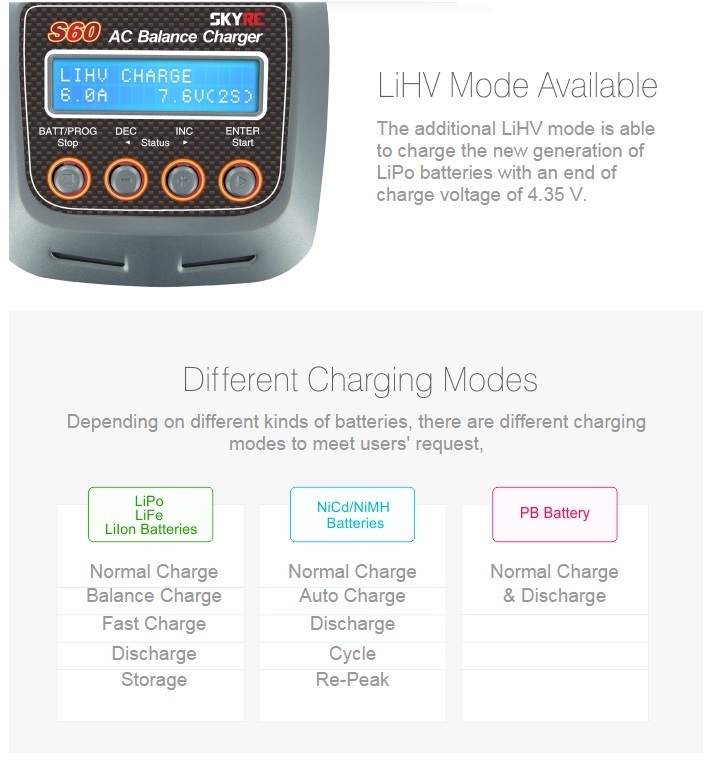 Additionally, the S60 is a powerful Lithium battery cell meter and measures individual cell and overall pack internal resistance.